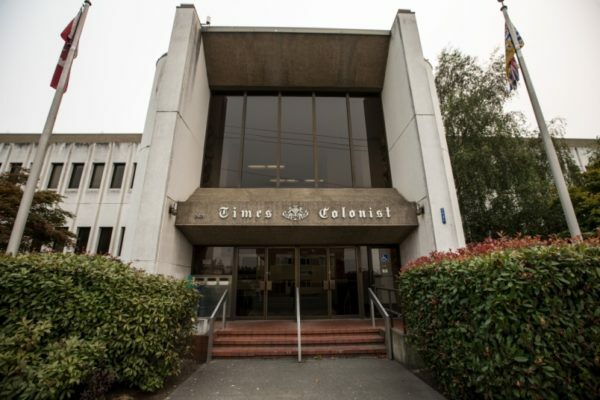 The Times Colonist will be printed at the Black Press commercial printing plant in Ladysmith starting Oct. 1. The announcement was made Tuesday by publisher Dave Obee and Randy Blair, the chief operating officer of Black Press. Black Press, the largest privately held printer in Western Canada, is consolidating all of its Island press operations in Ladysmith. The Ladysmith plant will print all of Black’s Island papers, some other weekly newspapers and commercial jobs as well as the Times Colonist. “We are excited to have the opportunity to print the Times Colonist, one of the most established titles in Western Canada,” Blair said. The switch to the state-of-the-art press facility in Ladysmith will mean more colour pages in your daily newspaper. The size of each page and the number of sections will not change. The TC union contract is up at the end of this year, or January 1/19. You can expect to see massive changes after that. David Radler, in charge of the TC pretty much since he left prison, is a ruthless cost-cutter. He’d rather close the TC than pay the wages he does now. At the very least, the circulation department will probably be contracted out.